Why is Syria Using Chemical Weapons? Russia, claim that these are false reports transmitted by the rebels in an effort to provoke the U.S. and other Western powers to aid them in their fight against the loyalists and Hezbollah. But according to what I’ve seen today, unlike other times the rebellion has claimed to have video of victims of nerve gas, these look very convincing. Now, if the al-Assad loyalists and Hezbollah are really using WMD’s against the rebels now, I have one question: Why? The ruling regime is winning the war. They have Russia backing them almost 100%. Why would they risk the advantageous position they currently hold when using chemical weapons may provoke the U.S. and the U.N. into taking action against them? Why would they cross Pres. Obama’s metaphorical “red line” that he has drawn regarding the use of chemical weapons? I know that crazy things happen in war. And maybe the use of a chemical weapon was not ordered from high-above but by a low-level officer and that is why al-Assad and Russia are denying ithese reports so vehemently. Maybe some even lower-level troops put together what was reported by the NYT, a make-shift missile which was launched in this attack because they just got tired of seeing their buddies killed and opted for revenge instead of a more rational approach to war. But maybe the regime is that irrational for killing your own citizens is always an irrational act. 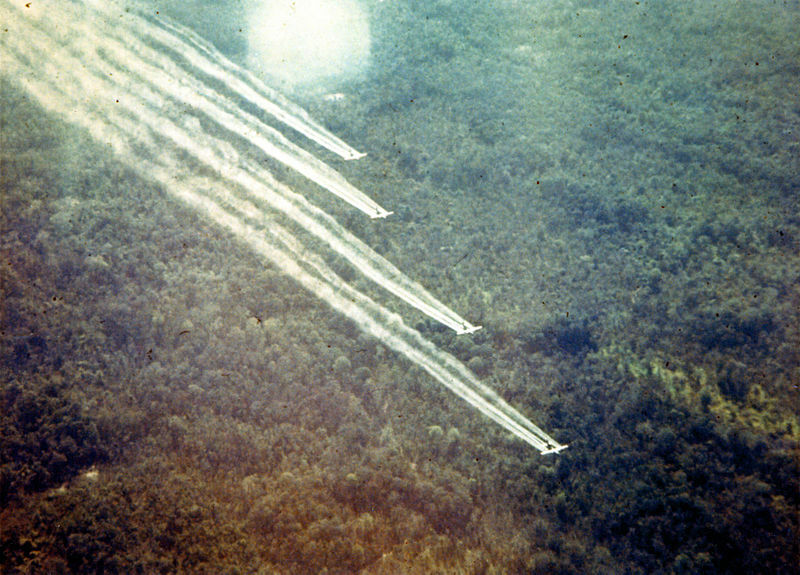 Officials at Hill Air Force Base in Utah, which oversaw the planes, approved a consultant’s recommendation in 2009 to “dispose of/recycle the 18 UC-123K ‘Agent Orange’ aircraft as soon as possible to avoid further risk from media publicity, litigation, and liability for presumptive compensation,” according to a base memo in August 2009. Subsequent testing of 17 aircraft in August 1996 detected “strong potential of low level concentrations of dioxin,” according to Air Force documents. It’s pretty sad when documents exist admitting the wrongdoing and the danger of these chemicals to people around it yet no action will be taken to compensate the victims who will suffer the consequences. Especially sad when considering the amount of money the U.S. spends on defense and heaves upon defense contractors. 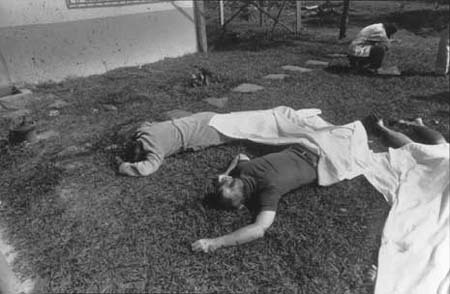 And, of course, these are just the lingering effects of Agent Orange on people who were not around when the actual spraying was being done and not the people who suffered the 20 million gallons that were dropped by U.S. forces on Vietnam, Laos, and Cambodia, a clear violation of Geneva.